Yay! It’s a Book Sale! While I’m hard at work finishing off my first draft of Book 3 of my The Great Dagmaru series, I’ve decided to put Book 2, The Magician’s Blood on sale! Today, tomorrow, and November 1st, you can pick up the e-book for just $2.99. That’s $2 off! So if you’ve read The Magician’s Curse and you want more, get The Magician’s Blood now! 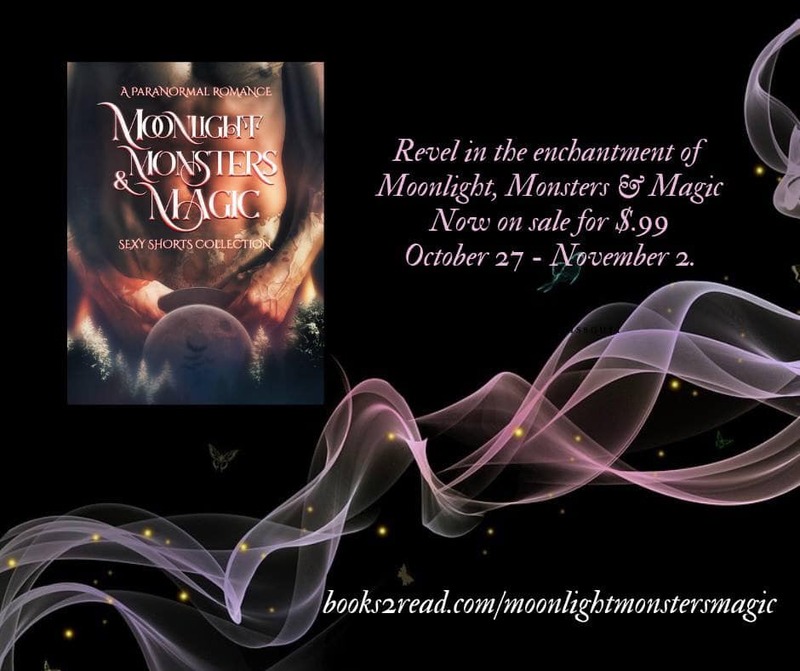 Text on graphic: Revel in the enchantment of Moonlight, Monsters & Magic. Now on sale for $.99 October 27 – November 2. There are too many links to list, so here’s the handy link that will take you to the e-tailer of your choice for Moonlight, Monsters & Magic. Thank you so much in advance for reading my work. Enjoy the escape! P.S. Please reblog and share on social media. Ta! 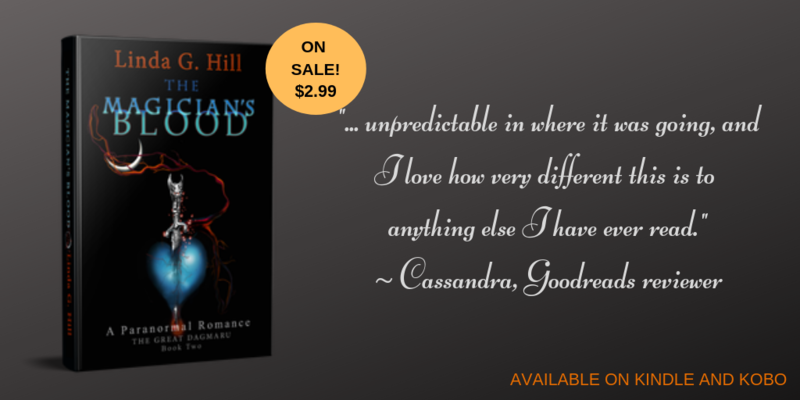 Categories: Cool Stuff, Novel, The Great Dagmaru | Tags: #amreading, #onsale, Anthology, book sale, books, great reads, Moonlight Monsters & Magic, paranormal romance, romance, The Magician's Blood | Permalink. “The Wrong Stuff” is available for purchase, now both in paperback and ebook! Get it now! So, The Wrong Stuff has been out for a couple of weeks and I’m doing everything I can to promote it, including an upcoming interview on the local radio book club hour and a piece in the local paper. I have also joined some Facebook author groups and I’m in the process of plugging away at a few of those each day. The book now has its second five star review on Amazon, including my favourite quote so far, which I’ve pinched for the title of this post; “Easy to read, difficult to put down…” which is, if I do say so myself, pretty accurate. IF YOU HAIL FROM ELSEWHERE, USE THIS ONE. Categories: Reblogs | Tags: #amreading, #debut novel, fantasy, great reads, Guy Thair, Novel, SoCS, writers | Permalink. How NOT to promote your next Kindle Freebie! It’s promotion time! Pick up Steve Vernon’s latest giveaway today and see why you need to buy everything he has to offer! Okay – so as some of you folks know I’ve been working hard on trying to unlock the secrets of creating a successful Kindle freebie release. I’ve wrote a bit about it HERE and HERE and – if you scroll down through my blog entries you’ll doubtless find a few more examples. I have been doing my darnedest to figure out what mystical techniques you must use to create a successful Kindle freebie release. I’ve met with some success – but today I thought I would set up a test case to see how NOT to promote a Kindle freebie release. I’ve set my Northern Ontario set, redneck noir novella – HAMMURABI ROAD – on for FREE today. Categories: Reblogs | Tags: free e-books, free novel, giveaways, great reads, novel, reading, Steve Vernon | Permalink.